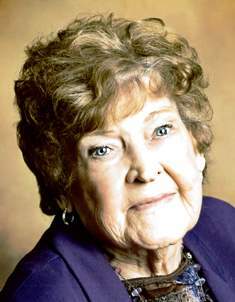 Obituary for Mrs. Ruth Evelyn (Boonstra) Van Huis | Hinchliff-Pearson-West, Inc.
Ruth Evelyn Van Huis was born on July 20, 1927 to Henry and Laura Boonstra, and went to her heavenly home on February 7, 2019. Ruth was born and raised in Evergreen Park, Illinois. She and her 10 siblings were raised in a Godly and loving home. She was married to Edward Van Huis, Jr. on June 11, 1949 and they lived most of their lives in Oak Lawn, Illinois. Their marriage was blessed with three sons, Edward, Mark, and Robert and three daughters, Susan, Sandra, and Sharon. They celebrated 61 years of marriage, until the passing of Edward on February 16, 2011. Ruth moved to Galesburg, Illinois in 2013 and attended Calvary Assembly where she made many wonderful friends. Ruth was a wonderful and loving wife and mother. Her family and her home were her ministry. Her greatest gift to her family was teaching them to love Jesus. She was faithful to the Lord and faithful to the church all of her life. Ruth is survived by sisters, Dorothy, Gladys, and Darlene; children, Eddie, Mark, Sharon and Bob; 17 grandchildren, 23 great grandchildren, and four great-great grandchildren. Visitation will be 10 to 11 a.m. Monday, February 11, 2019 at Calvary Assembly. Funeral service will follow at 11 a.m. with her son-in-law, Rev. Jeffery W. Morrow officiating. Private burial will be Tuesday in Chapel Hill Cemetery South in Worth, Illinois. In lieu of flowers, memorial contributions may be made to Calvary Assembly. Hinchliff-Pearson-West Funeral Directors and Cremation Services Galesburg Chapel is handling arrangements for the family. Online condolences may be made at www.h-p-w.com.